Diane Ramirez has publishing credits in local newspapers, magazines, and on-line E-zines. She enjoys writing about issues that speak to the heart in a witty, candid, and inspirational style. She enjoys writing for her two blogs: “Spiritual Reflections,” her musing on faith issues or issues that mover her heart, and “Not Losing Heart,” her blog for families with loved ones living with mental illness. Diane enjoys writing children’s picture books. Take a look at her up and coming books on her Picture Books Page. Her inspiration and creativity for writing children's books began at the birth of her first grandson, fourteen years ago. She now has five grandchildren who provide her with character studies, sayings, and fun story ideas. 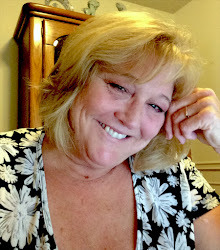 Diane has written and polished two manuscripts and has two more in process. In 1990, Diane self-published a Bible study on sexual purity for teens, along with a Bible study for those who needed to understand God's forgiveness. She also designed and presented a weekend workshop for Christian teens on the topic of purity and gave similar presentations to local area junior high schools when she directed a pregnancy support center. Over the last 20 years, Diane has spoken at Christian women's gatherings and retreats, and facilitated workshops. Diane is a member of the Society of Children’s Book Writers & Illustrators (SCBWI) and Children’s Book Insider Clubhouse (CBI). She is a part of the Word DIVAS, her writing group of “Dedicated & Incredibly Vivacious Authors.” Diane also attends the LA Schmooz SCBWI, a local group of authors who meet once a month. She lives foothills of Los Angeles, California. In her spare time, she loves to compose music on her guitar and of course read. In her spare time, she love to compose music on her guitar and of course read.